Discussion in 'Amps and Cabs' started by Organtis, Apr 13, 2016. I have two bandits. A 1982 Bandit 65 and a silver stripe 112 transtube. I got them both for great prices. My question is I have cleaned the pots and Jacks but the silver stripe is a little hiss in the clean but quiet as a mouse in the gain channel and quiet when going direct to power in on the effects loop. Is this normal, the 65 is amazingly quiet. I actually sold a Fender champion 40 because it was too loud, it messes with my practicing. The express I have has a little bit of hiss/white noise when on the clean channel too.... pretty subtle though, and doesn't go up or down with the volume, so at band rehearsal/gig volume no one notices it. Does your hiss go up with volume? Not really. I think it may be normal with the preamp circuit, but I'd like to make sure it's normal and not get worse. Old op-amps can get hissy. I may try that, this one has 5 all the same and the last time I bought op-amps they were 75 cents. BTW the last two replies were Blues Power and Sweetfinger...... Albert King fans? If the op-amp thing works, I'd be interested in knowing - it would be easy to replace them in mine too I think. While I do like Albert, it's my stage name from the early 90s. I played a lot of slide guitar. It sounded a lot better than "The mighty Jimbo". I got introduced as that once and vowed never again. Yeah, how do you replace op amps - are they plug and play, or do you need to de-solder and re-solder a million legs to the board?? 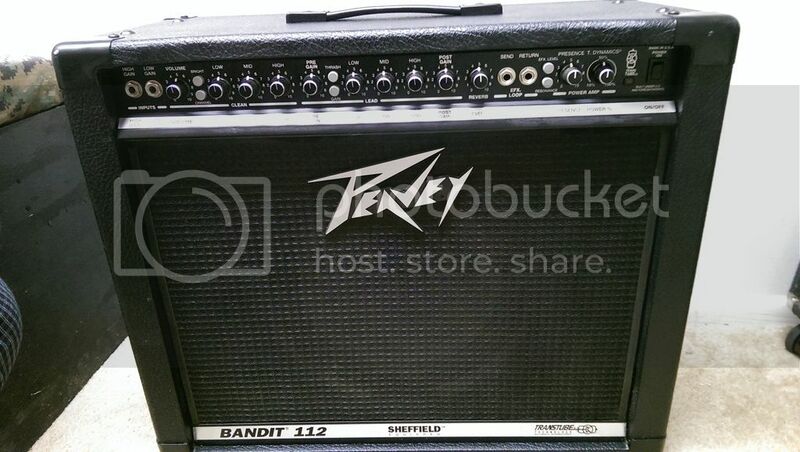 Every Bandit I've ever owned had a bit of hiss/white noise.